Top Ten Tuesday is hosted by The Broke and the Bookish. Every Tuesday they post a new Top Ten list prompt. This week’s list is the Top Ten Books On My TBR pile for Summer 2015. Check out the list and let me know what’s on your TBR pile for this summer. Leave your list or a link to your own blog post in the comments below. I won a copy of this book from Goodreads and it’s been sitting on my TBR pile for a while now! Seven years ago, Terry Archer and his family experienced a horrific ordeal that nearly cost them their lives. Today, the echoes of that fateful night are still audible. Terry’s wife, Cynthia, is living separate from her husband and daughter after her own personal demons threatened to ruin her relationship with them permanently. Their daughter, Grace, is rebelling against her parents’ seemingly needless overprotection. Terry is just trying to keep his family together. And the entire town is reeling from the senseless murder of two elderly locals. I won book #2 of this series (Skandal) from Goodreads, but I have to get through book #1 first! 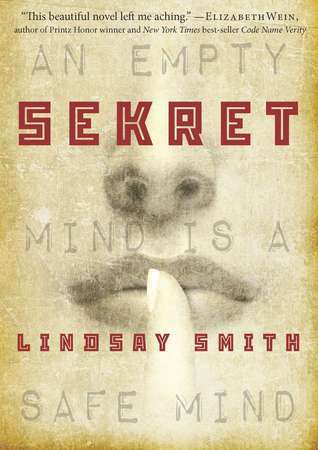 Yulia knows she must hide her thoughts and control her emotions to survive in Communist Russia. But if she sometimes manipulates the black market traders by reading their thoughts when she touches their skin, so what? Anything to help her survive. 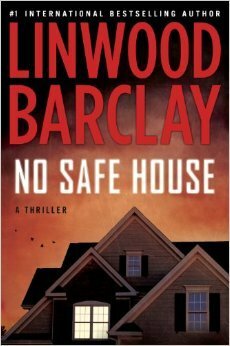 This one is on my NetGalley shelf waiting for me to read and review it. Elsa is seven years old and different. Her grandmother is seventy-seven years old and crazy, standing-on-the-balcony-firing-paintball-guns-at-men-who-want-to-talk-about-Jesus-crazy. She is also Elsa’s best, and only, friend. 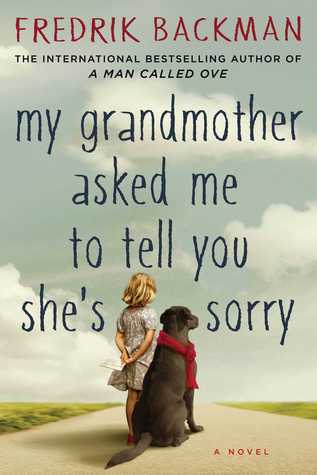 At night Elsa takes refuge in her grandmother’s stories, in the Land of Almost-Awake and the Kingdom of Miamas where everybody is different and nobody needs to be normal. 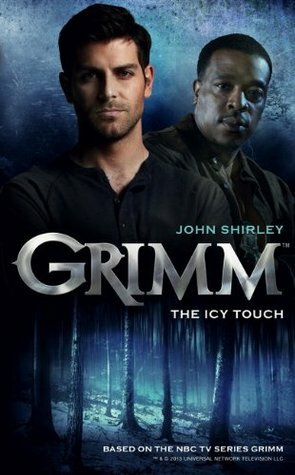 I never miss Grimm! My daughters bought me this book for my birthday last November. I’m hoping to read it over the summer this year. There once was a man who lived a life so strange, it had to be true. Only he could see what no one else can: the darkness inside, the real monster within. And he’s the one who must stop them.. This is his calling. This is his duty. This is the life of a Grimm. I actually have a large stack of 1st-in-the-series cozies I want to read piled up on my nightstand. Hope to get to this one soon! Business consultant Taylor Blake has returned to Savannah, Georgia, to help her sister Allison turn her dream of running an old-fashioned candy store into a reality. Allison is also interested in dream interpretation and invites Taylor to her Friday night Dream Club, where members meet once a week to share and analyze their dreams. When a local dance instructor, Chico Hernandez, is found dead in his studio, and the murder scene has an eerie resemblance to one of the dreams shared at their meeting, Taylor can’t help but be intrigued. And when her sister, who was briefly involved with the dance teacher, becomes the prime suspect, Taylor and their fellow club members can’t be caught napping. 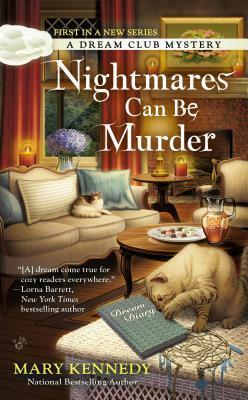 It’s up to them to dream up a solution to the murder before Allison faces a real-life nightmare. I won this paperback from the author in a facebook giveaway, but haven’t had a chance to read it yet. I’m hoping to get to it on vacation this summer. 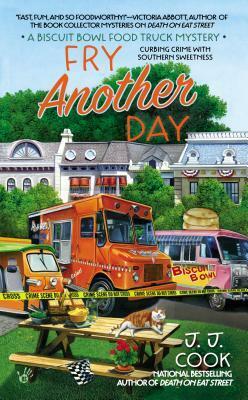 With a few loyal friends in tow—including her handsome attorney, Miguel, and her cat, Crème Brûlée—Zoe drives the Biscuit Bowl to Charlotte, North Carolina, to enter a nationally televised food truck race. The contest features challenges across the Southeast, and with a fifty-thousand-dollar grand prize, competition isn’t just fierce—it’s killer. As everyone gears up for the first challenge, another food trucker from Zoe’s hometown is found dead. The race rolls on, but when the body count rises, police begin to suspect Miguel. Now Zoe must race to catch the killer before her attorney needs an attorney. I love the Charmed Pie Shop and Books by the Bay series, and I’m really looking forward to reading this one. Tucked away in the rolling hills of rural western Virginia is the storybook resort of Storyton Hall, catering to book lovers who want to get away from it all. 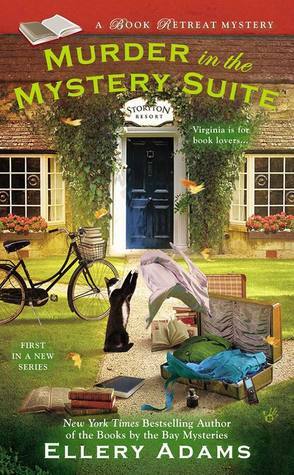 To increase her number of bookings, resort manager Jane Steward has decided to host a Murder and Mayhem week so that fans of the mystery genre can gather together for some role-playing and fantasy crime solving. I’ve had this one for a while, but I have to admit, I’m a little scared to read it. I’ve heard good things about the book, but I love Poirot so much I can’t imagine anyone other than Agatha herself getting him right. Hercule Poirot’s quiet supper in a London coffeehouse is interrupted when a young woman confides to him that she is about to be murdered. She is terrified – but begs Poirot not to find and punish her killer. Once she is dead, she insists, justice will have been done. Two people are abducted, imprisoned, and left with a gun. As hunger and thirst set in, only one walks away alive. 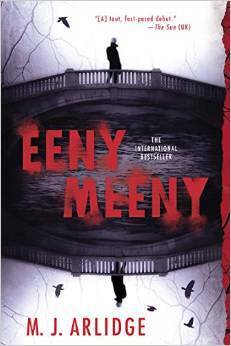 It’s a game more twisted than any Detective Helen Grace has ever seen. If she hadn’t spoken with the shattered survivors herself, she almost wouldn’t believe them. I’ve been lucky enough to be approved for a digital ARC of this one through NetGalley (yay!!! 🙂 ) so I will get to read it sometime this summer. 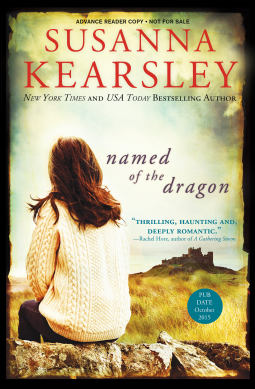 A haunting tale of intrigue from New York Times bestselling author Susanna Kearsley. Although it goes against her workaholic nature, literary agent Lyn Ravenshaw lets herself be whisked off to Wales for the Christmas holidays by her star client, flamboyant children’s author Bridget Cooper. She suspects Bridget has ulterior motives, but the lure of South Wales with its castles and myths is irresistible. Perhaps a change of scene will bring relief from the nightmares that have plagued her since the death of her child. Good to hear… I don’t know anyone who has read it! 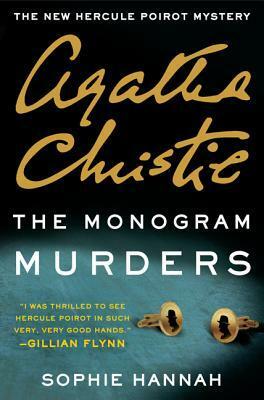 I’m interested to hear what you think of the Monogram Murders when you do read it… I have the same thoughts on Poirot – how could anyone possibly recreate him?? I have a similar problem with Sherlock Holmes retellings. Great list! I’ve tried one or two Sherlock retellings, but they never feel quite right! My to be read books. I am behind on my ARC books that they are going to quit sending them to me. I hope not because I really enjoy getting them. 1- Rules of the Game by Lori Wilde. This list includes 2 of my favorite authors – Lori Wilde and Marta Perry. Most are from goodreads but some from the author. It is a little darker than I normally read, but I was intrigued…I’ll definitely post a review once I get through it!